The ISO 9000 series of standards for quality assurance and quality management has had phenomenal success in the form of wide acceptance in a short time, unparalleled in the history of international standardization of role. These standards have already been adopted by over 70 countries and regional standardization bodies in Europe, the Americas and the Middle East. The ISO 9000 series is perceived as a powerful tool for effective quality management and for achieving greater customer satisfaction. The standards improve the operational efficiency of enterprises, enabling them to offer a best quality of goods and services at affordable cost and thereby to meet the challenge of improving competition in global markets. The standards have a special relevance for developing countries. Realizing their implications for export trade, many companies in these countries have started working towards implementing the standards and getting registration in order to access sophisticated markets in North America and Europe. So, a credible infrastructure for the ISO certification 9000 systems needs to be built for the proper utilization of this powerful quality assurance tool. In addition to issuing the ISO 9000 series, ISO has published rules on the auditing and certification of quality systems, as well as the management of certification bodies and quality system audit programmes in the form of the ISO 10011 series of standards. At present, quality system certification and establishment of the infrastructure for recognizing and watching certification bodies are left to the initiative of individual countries. As a result, different types of accreditation mechanisms are in being. Most developed countries have set up institutional arrangements for the accreditation and monitoring of certification bodies. Typical examples are the UKAS. Raad voor de Certificate (RvC) in the Netherlands. Some developing countries have designated their national standards organizations as ISO certification bodies. In addition, a number of certification bodies based in Europe also operate in developing countries on a commercial basis. A major problem currently being faced by companies in developing countries seeking certification of their quality systems relates to the absence of a guarantee of the worldwide acceptability of such certification. Different national certification bodies are not well known abroad and the ISO certificates they provide are of limited international value. Some certification bodies try to overcome this problem by seeking accreditation from bodies in developed countries. Others conclude bilateral agreements with ISO certification bodies in various countries for the mutual recognition of each other’s certifications. Arranging bilateral agreements with corresponding bodies in all trading countries is time-consuming and cumbersome. And, in fact, the problem of the acceptability of ISO 9000 certification in other countries is also being faced by developed countries. In order to get the maximum values for their investment in ISO 9000 registration, companies all over the world are demanding a single certificate for international use. 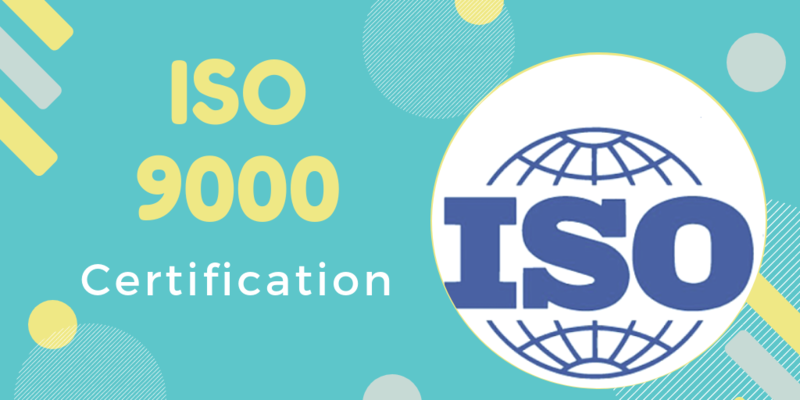 Responding to this market need, ISO and its partner IEC have launched a QSAR scheme to make worldwide acceptance of ISO 9000 certificates issued by any certification body approved under the scheme. To oversee and operate the scheme, a joint ISO/IEC QSAR board has been set up. The QSAR secretariat is based at the ISO central secretariat in Geneva, Switzerland. The scheme offers the regional or national assessment of accreditation bodies against criteria from the relevant ISO/IEC guides on conformity assessment activities. A positive assessment will entitle these accreditation bodies to become QSAR members. Any ISO 9000 registrar accredited by such a member body will be considered to be QSAR-accredited and will be authorized to use the QSAR logo on the ISO 9000 certifications it issues. The logo will signify that the certificates have been awarded after registration process carried out in accordance with rigorous international criteria, adding value to the certificates and encouraging their acceptance worldwide. It should be specified that QSAR is a voluntary scheme, it does not oblige accreditation bodies to participate in it. So, the scheme will be of great value to ISO 9000 certification activities in developing countries. Once ISO 9000 registration bodies in these countries are accredited by a national or regional accreditation agency that is a member of QSAR, the certificates issued by such registrars will enjoy international acceptability. SMEs play a vital role in the economic development of any country. In developing countries, they have a particularly significant role. First, they operate in labour-intensive sectors and provide jobs for ever-increasing populations. Second, they provide many consumer products at moderate prices because they have lower overheads and their location near consumption centres brings down their transportation costs. Third, they do a vital complementary role as suppliers components. In this endeavor, ISO 9000 standards are useful tools. A major problem in small industrial units is that they are often run by one or two persons who are proprietors as well as managers. These persons have to perform all managerial functions, leaving them little time for any organized effort in quality management. Implementing ISO 9000 standards would systematize their activities, doing it likely for them to delegate some of their responsibilities to lower-level functionaries and freeing them to focus on important strategic issues and the development of operations. There are many misconceptions about ISO 9000. One is that it necessitates a complex exercise and massive documentation of the sort feasible only in large companies. Another is that it demands additional staff to carry out process-checks and maintain extensive records. A third is that it calls for substantial expenditure on consultancies, registration audits and annual certification fees. Most of these fears are ill-founded. First, the quality system is designed to meet a company’s specific needs. It mainly entails standardizing and formalizing activities that are already being carried out. Documentation is needs-based and there is no call for every single activity to be documented. The system does not insist on different persons for different functional jobs. It permits multi functional roles as long as these are clearly defined. In fact, as has been mentioned earlier, SMEs have a distinct edge in regard to ISO 9000. The standard essentially needs the reorientation of the attitudes of staff and their retraining for jobs based on standardized procedures. The smaller the number of staffs, the faster this can be done. With regard to expenditure on ISO certification, it should be stated that third-party certification is not important for the successful implementation of ISO 9000 certification standards. The standards are primarily meant to help management in achieving higher operational efficiency, improved conformance with quality standards and greater customer satisfaction. If management ensures rigid compliance with the relevant ISO 9000 certification standards. ISO 9000 standards can also be used for second-party certification, i.e. certification by large companies of their suppliers on the basis of second-party audits. SMEs have a substantial share in the export trade of developing countries. To enable them to continue to meet the ever-rising competitive challenges of the world market. Promoting ISO 9000 concepts among them can be very helpful in this favor. 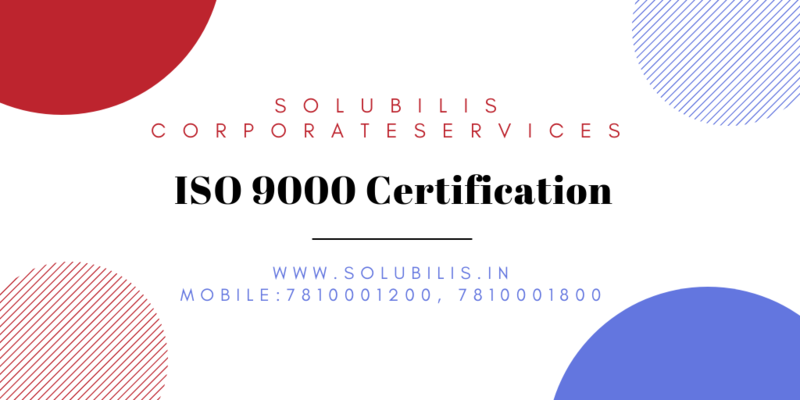 Solubilis is one of the leading ISO consultants in Chennai, we provide all ISO certification at affordable cost.